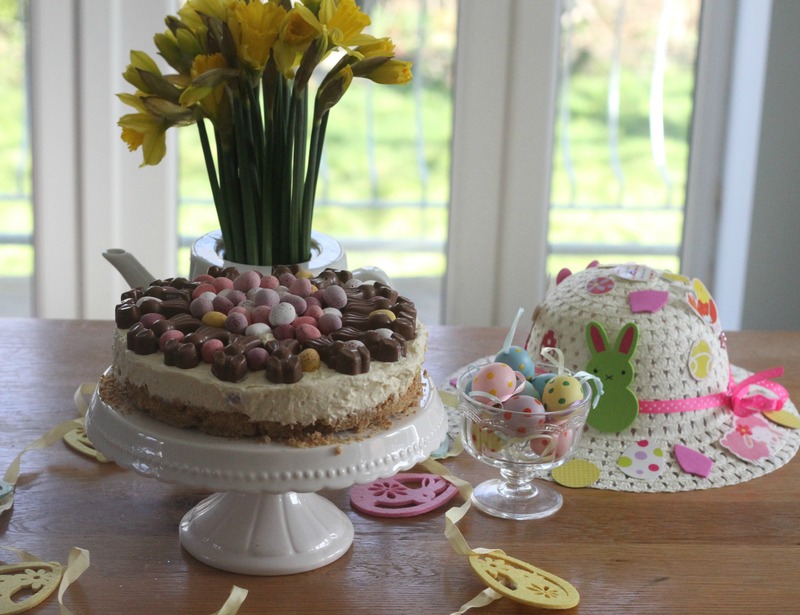 As with the majority of my recipes, this is very easy to make and to decorate, but it does look really delicious and tempting and would make an ideal pudding to serve to your family this Easter. 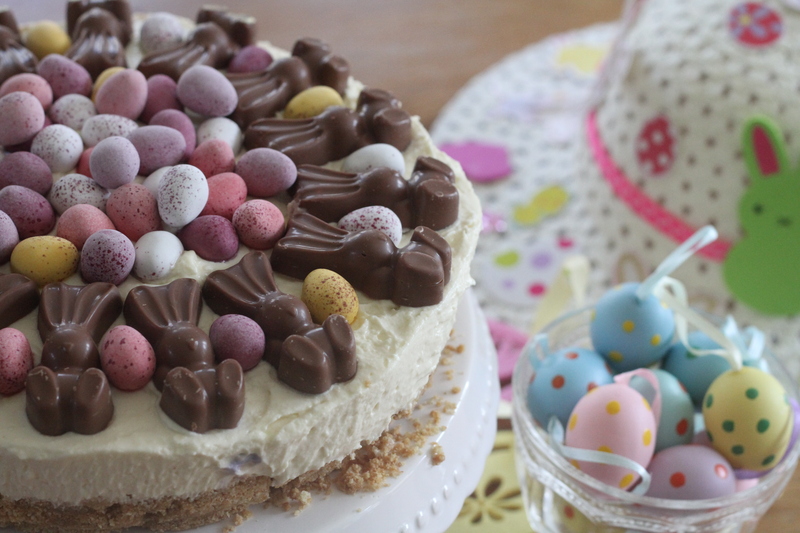 The cheesecake itself is made using white chocolate and mini eggs, so if you look carefully at the sides you can see little flecks of colour from the eggs. 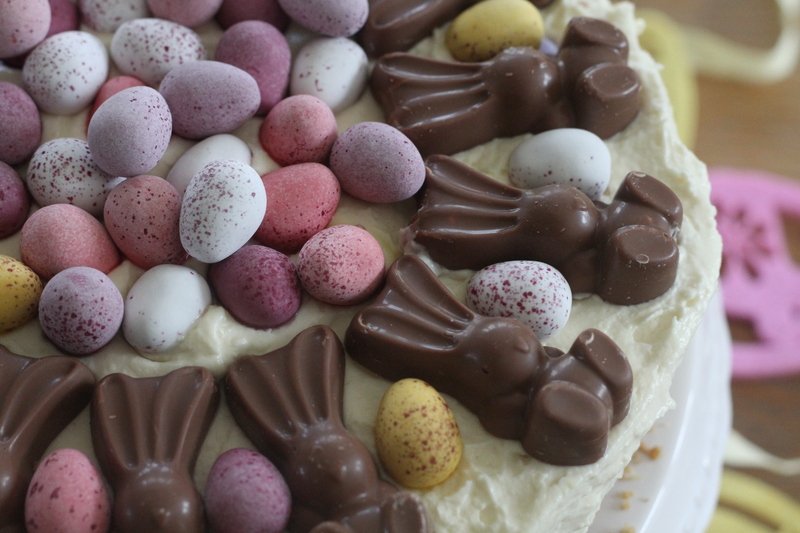 Mmmmm it was very nice and was well received on Easter Sunday last year – it certainly did not stay around for long by the time everyone took a slice! 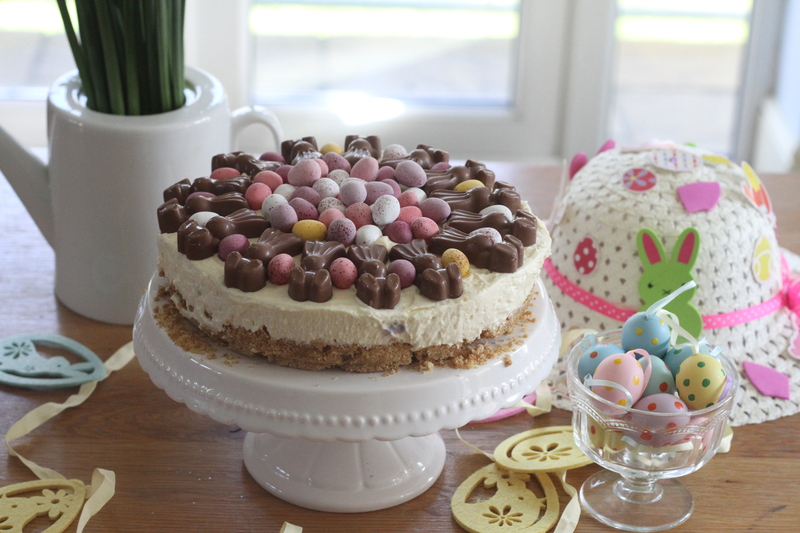 So why not let this be the centrepiece dessert this Easter for you and your family? 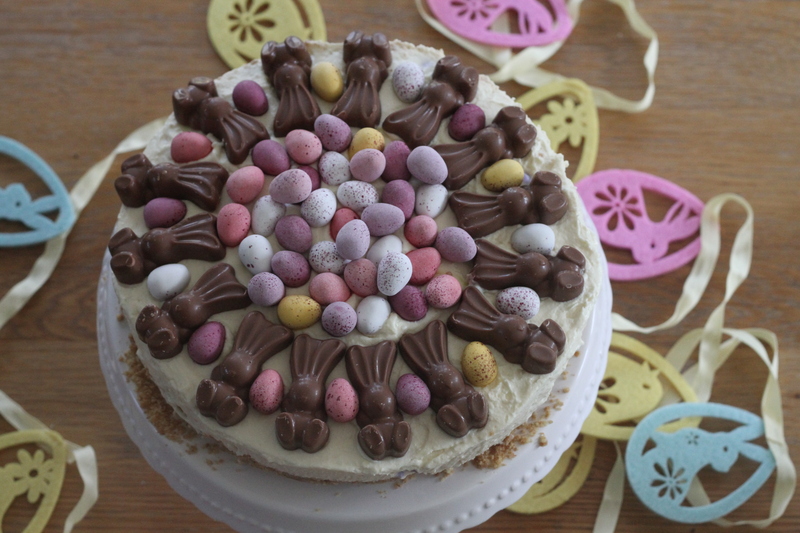 Oh wow Jenny this sounds absolutely delicious and what a perfect treat for Easter! Oh wow! 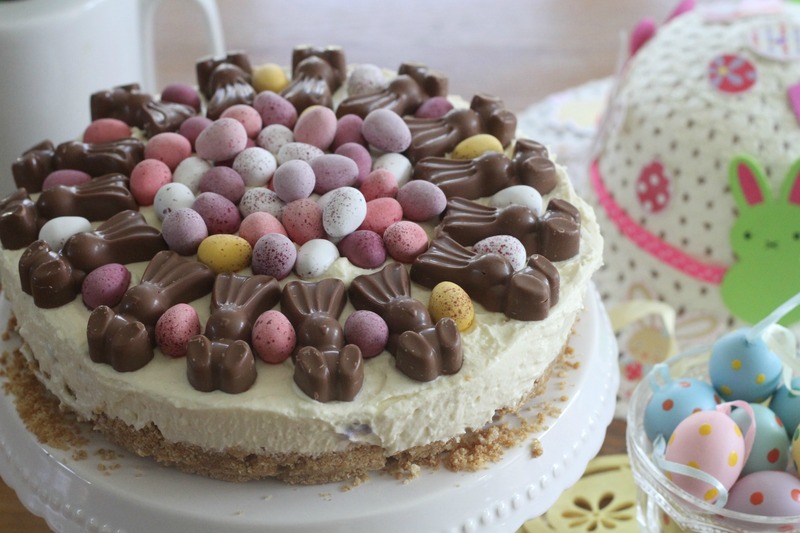 SUch a gorgeous cheesecake – I would love to have this for Easter! Ooh yummy! looks so pretty too! 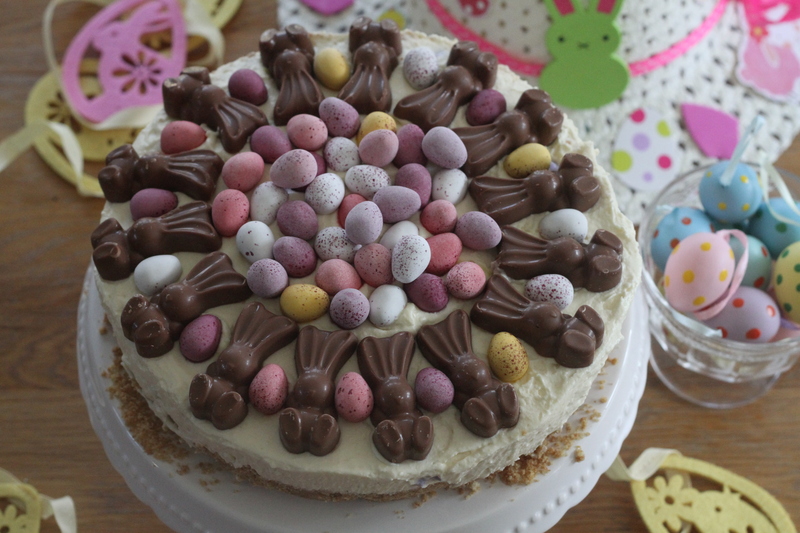 This looks beautiful and lush.I just might try it for the little ones.They’re mad about white chocolate as well as all that gorg chocolate.Perfect! 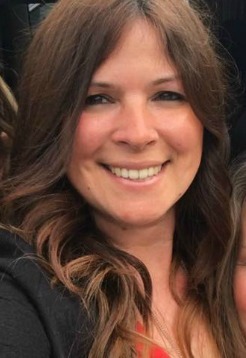 Ooh wow Jenny! 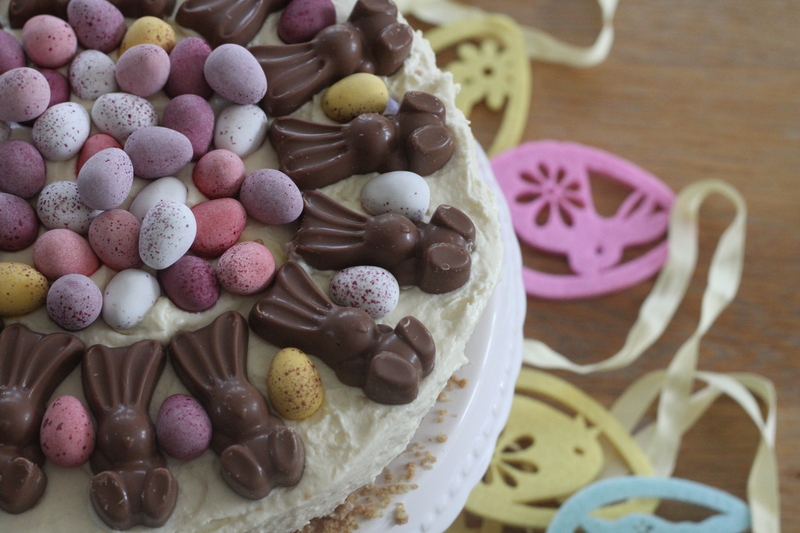 Doesn’t that just scream of Easter! 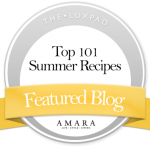 I love it, it looks so delicious and so much fun! 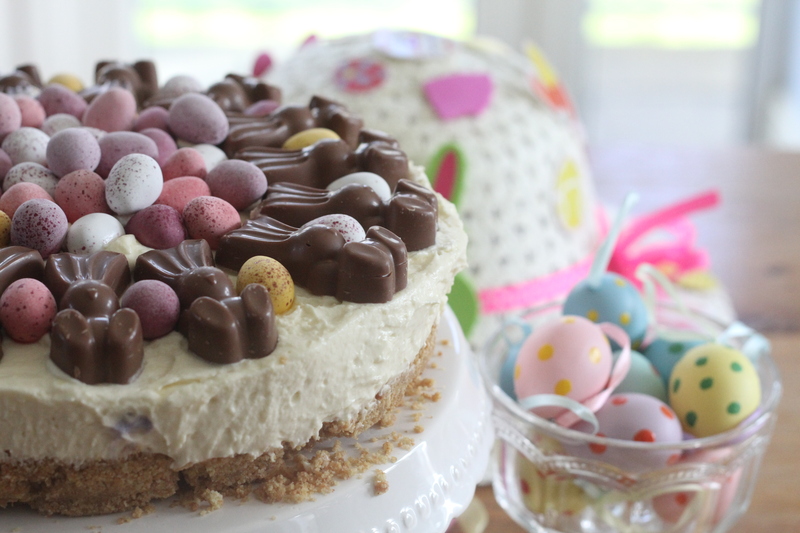 This looks fantastic and perfect for Easter. 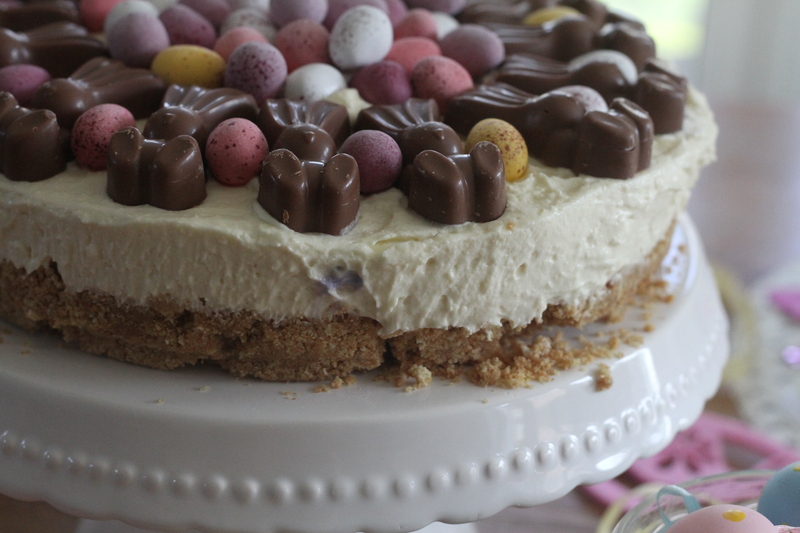 I adore mini eggs and maltesers, so can I please have a large slice? Thanks for sharing with #WeShouldCocoa.